When decorating a room, we always want to make sure we've got the most essential basics covered–from furniture like couches and coffee tables to textiles like rugs and curtains, and smaller elements like plants and candles. But what about that little extra something that makes a room really feel special? The details that set it apart? These are the six decor features we believe are necessary to bring a room to life and to make it feel like it's really yours! All-white or all-beige rooms, while certainly tranquil, can sometimes feel sterile and lifeless. Monochromatic schemes are fine, but it may be a good idea to inject a little energy with some pops of color on accessories or even an entire cabinet scheme in your kitchen. We love how this room (designed by Will Taylor of Bright Bazaar) feels timelessly inviting but full of unexpected character thanks to the dark teal cabinetry. Houseplants can do absolute wonders for a space. No green thumb? No problem! Try out some trendy succulents, which are very hardy and an easy-to-grow houseplant. Trees add wonderful height and life to a room as well. Alternatively, faux houseplants can also look very realistic, though they can be expensive. Fresh-cut flowers are another avenue and can last up to two weeks if you care for them properly. Make an inexpensive bouquet from the grocery store look more stylish with these tips. A small vase of flowers on the kitchen counter or coffee table, or a houseplant or two by a sunny window instantly makes a place feel homier. Try it, you'll see. To keep a room from feeling flat and homogeneous, try bringing in texture through baskets, throws, and rugs. These elements add a layer of interest and polish to any room or space. 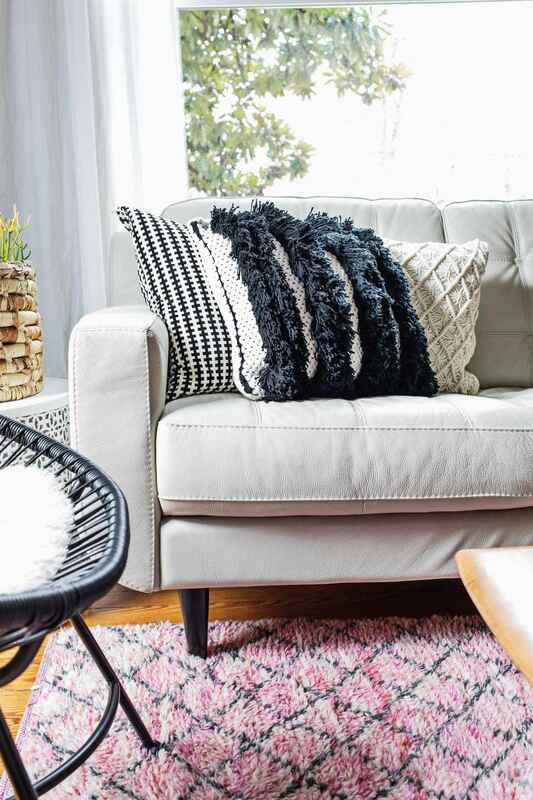 If your sofa has great pillows, but still seems uninviting, a throw can make a difference. Likewise, layering a throw on the end of a bed—in a contrasting color or tactile fabric like faux fur or embroidered linen—can tie everything together. Woven baskets for firewood, toys, extra pillows or books are another great way to add texture to a space, not to mention restore order to a cluttered room. Finally, if you like monochromatic rooms, texture can be a great way to add interest without deviating from your palette. Designers often offer this piece of advice and it's no wonder: it works! If your room feels like it's missing something, try adding something—or a few little things—in black. 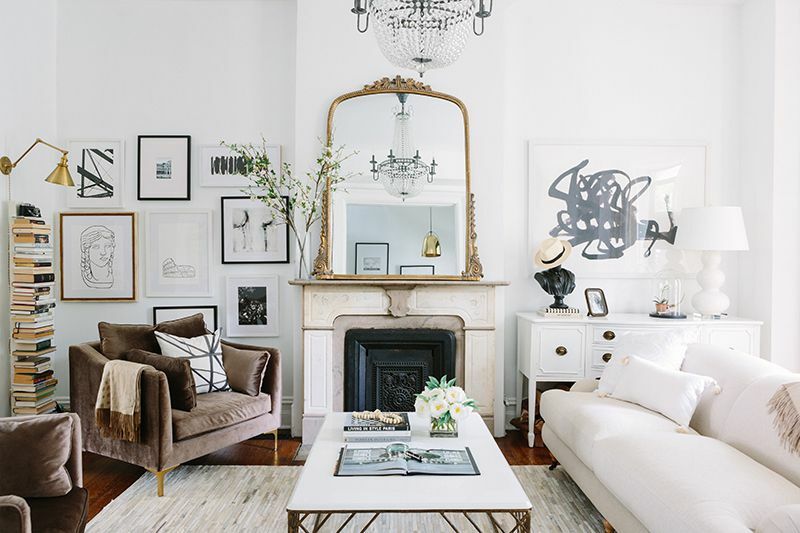 Whether it's a piece of accent furniture, a set of picture frames or pieces of art, a lampshade, or a chalkboard-painted sign, you'll see improvement in the room by adding black, which seems to ground the space and bring order to disparate pieces. (It also adds depth.) Touches of black can also modernize or lend sophistication to a color scheme. It's hard to imagine a room without books in it, right? Whether they're coffee table tomes in the living room, cookbooks in the kitchen, or a basket of children's books in the family room, it's easy to envision how books can live happily in any room. Don't have built-in bookcases? No problem! There are lots of unique ways to store and display your books. However, you needn't feel as though you have to be an avid reader, nor should you feel like you have to have whole bookcases filled with books. Books can simply be used as beautiful objects in a display, and they can add height to other items you might want to showcase. If your room feels like a furniture showroom, chances are you haven't added in enough of your own personality. Your home should be a reflection of who lives there, so try to highlight your hobbies, interests or travels through art and objects that reflect those passions. Beautiful art doesn't have to be expensive. From discount websites like Allposters.com where you can find affordable prints of popular art pieces to Etsy artisans making unique pieces, all you have to do is spend the time to comb through it all and find the works that speak to you. (And don't forget flea markets and garage sales!) Items that lend a sense of history as well as tell your own meaningful story—like vintage family photos—make great conversation pieces and infuse a room with life and unique character.